Wrongful death refers to circumstances in which someone else’s actions, or failure to act (neglect), results in the death of another. Unlike murder or manslaughter, wrongful death cases are pursued in civil court, not criminal court. The law allows the victim’s family or estate to pursue and collect damages on their behalf in such cases. Loss of wages and benefits, loss of companionship, emotional pain and suffering, and punitive damages may be considered when damages (financial compensation) are assessed. Wrongful death lawyers in NJ serve to provide fair and reasonable compensation to family members who’ve suffered emotional and/or financial consequences due to a loved one’s wrongful death. These cases can also discourage other parties from behaving in a manner similar to the defendant in the future. If you or someone you love has experienced a death that may have been due to negligence or other avoidable circumstances, you should contact a New Jersey wrongful death lawyer. Each state has its own set of criteria for determining who may file a lawsuit and recover damages in wrongful death cases. That’s why, if you believe you have a valid wrongful death case, it’s important to consult with a wrongful death attorney in NJ. They’ll help you determine whether you have a valid case. In order to establish wrongful death liability, the plaintiff’s attorney must be able to prove the defendant’s conduct resulted in the victim’s death. This involves proving the victim would still be alive were it not for the defendant’s actions or neglect. The time between the victim’s death and the defendant’s actions/neglect is not a factor if the attorney can prove the defendant caused the death. There are instances in which a defendant may be shown to be only partially responsible for the death of the victim. In these cases, they may be found comparatively or contributorily negligent. To determine the liability involved in your case, discuss it with a wrongful death lawyer in NJ. Each state has its own laws for assessing liability. States may base these on comparative negligence, contributory negligence, or a combination of both. Due to this varying nature, it helps to discuss your case with a New Jersey wrongful death lawyer. In wrongful death cases, the goal when assessing damages is to provide the proper, appropriate degree of compensation to the victim’s family members. It’s important to understand that courts may evaluate many different factors when assessing damages. Thus, it’s necessary to consider each claim individually and consult with a wrongful death attorney in NJ. Some factors, like the expenses associated with medical and death costs, are relatively easy to determine. There are also less obvious factors that are not always as easy to assess. For example, future earnings, loss of benefits, and loss of companionship can be difficult to assess, because doing so involves anticipating the victim’s potential lifespan and determining the way their death impacted the surviving family members. These factors are still important, but it can be a challenge to assign a dollar value to them. This is especially true when evaluating the impact of loss of companionship. This is a subjective factor that can’t be measured empirically. Instead, assigning a dollar value to this factor requires measuring emotional pain. Therefore, you need a New Jersey wrongful death lawyer that has the experience needed to assess what you may be entitled to. One additional damage point to assess is punitive damages. Instead of compensating for a specific loss, punitive damages serve as a punishment for the defendant. They may be awarded if it can be shown that a defendant’s actions were intentionally or grossly negligent. Punitive damages can also benefit the general public by discouraging similar defendants from committing similar acts. If you or someone you love has suffered due to wrongful death in New Jersey, you need the help of a New Jersey wrongful death lawyer to determine if your case is valid. Start by contacting a wrongful death attorney in NJ at The Rothenberg Law Firm LLP at 1-800-624-8888 or submitting an online InjuryLawyer.com free case evaluation. 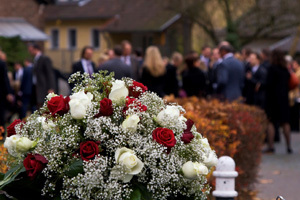 Your initial consultation with a wrongful death lawyer in NJ is FREE of charge. We work on a contingency basis, meaning if we take on your case, we won’t charge any legal fees unless and until we’re successful in getting you the money you deserve. Keep in mind, you may need to file your case before an expiration date established by the Statute of Limitations. Therefore, it is important to get in touch with a New Jersey wrongful death lawyer immediately; otherwise, you may forego your rights to compensation.